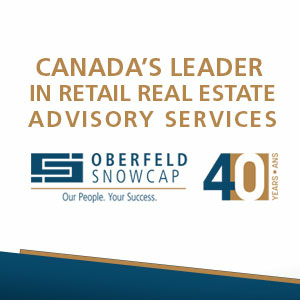 The following is an analysis by Toronto-based retail consultant Ed Strapagiel, who publishes a monthly report with his perspective on the state of the Canadian retail industry. Mr. Strapagiel's discussion appears to show a concerning slowing of retail sales growth in Canada in 2018, and he’s not optimistic about 2019 in his forecast, either. Total Canadian location-based retail sales were up just 2.7% in 2018 versus the previous year, according to the latest Statistics Canada numbers. This is the second lowest gain of the last 6 years and marks a major reversal of fortune from the 7.1% gain recorded for 2017. Here's a summary of Canadian retail sales growth over the last few years. A year ago the headline for this post was "2017 Canadian Retail Sales Growth Hits a 20 Year High, But a Correction May Already Be Underway". Well, it was some correction. Canadian retail just got weaker and weaker every month throughout 2018. What's worse is that the trend lines are still heading downward going into 2019. As the above chart shows, the underlying 12 month trend (green line) is on a steep decline. The shorter term 3 month trend (orange line) is still tracking below it, indicating things are likely to get worse before they get better. Total retail sales increased only 0.8% year-over-year in Q4 2018, one of the weakest fourth quarters ever. Retail sales growth in the Food & Drug sector also declined over most of 2018, and closed the year up just 1.3%. But things have perked up a little in recent months. In Q4 2018, retail sales were up 2.0% year-over-year, which, while very modest, was still was higher than the other major retail sectors. The underlying 12 month trend (green line in the above chart) has now flattened out, and the 3 month trend (orange line) is tracking slightly above. Retail sales trends in Food & Drug may be turning a corner heading into 2019, albeit slowly. Supermarkets & other grocery stores account for over half of this sector, and managed only a 0.4% increase in retail sales in 2018. This however improved to an increase of 1.8% in Q4 of the year. Health & personal care stores, on the other hand, continue to hold the sector back. Their retail sales were actually down 0.2% for 2018, and up only a scant 0.1% in Q4. Convenience stores and specialty food stores had significantly higher retail sales gains in 2018. These segments however account for just under 10% of the Food & Drug sector's total sales. Retail sales growth in the Store Merchandise sector is following the general pattern of weakening throughout most of 2018. Sales increased 3.2% for the year, but this was less than half the growth achieved the year before. In Q4 2018, the pace cooled again, with sales gaining just 1.3% year-over-year. The 3 month trend (orange line in the chart) continues to underperform the underlying 12 month trend (green line), indicating further weakness ahead going into 2019. Segments which had a difficult 2018 include sporting goods, hobby, book and music stores with sales down 1.2%, and shoe stores which lost 0.6%. Furniture stores' retail sales were up only 0.6% for the year, and down 0.9% year-over-year in Q4 alone. Home furnishings stores saw a gain of only 0.7% in 2018 and just 0.2% in Q4 alone. At the same time, there were relatively few winner retail segments in the Store Merchandise sector. 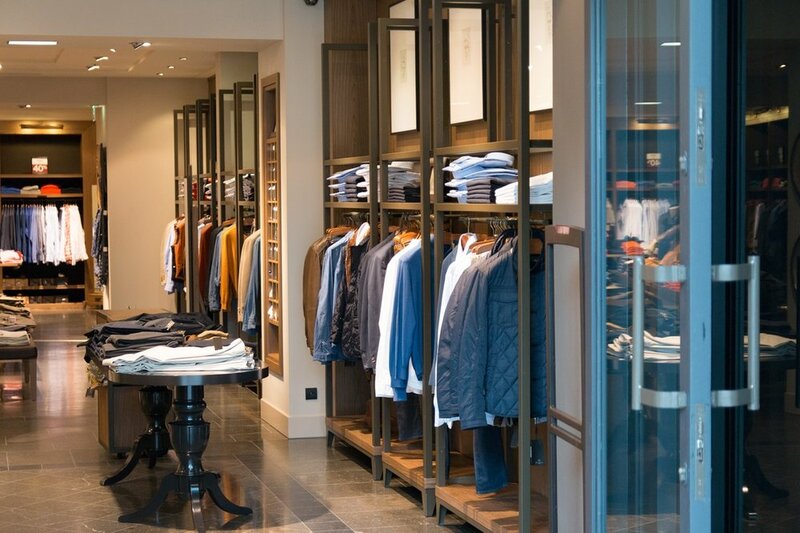 The miscellaneous store retailers group was the top performer, with retail sales up 9.4% in 2018. This was only partly aided by the addition of cannabis stores to this segment. Their retail sales were $151.5 million for the year after having been open for 2½ months. This is a small effect for the year but the impact will be higher in 2019. Automotive & Related is suffering from a double whammy of lower retail sales at new car dealers and lower gas prices, and these trends appear to be accelerating. While the sector did manage a 3.3% gain for 2018 overall, this weakened to a year-over-year retail sales decline of 0.7% in Q4. There is a significant gap between the underlying 12 month trend (green line in the chart) and the 3 month trend (orange line), implying that things are still getting worse. New car dealers' retail sales were up just 0.5% for the year and down 0.9% in Q4. Used car dealers are performing better with sales up 7.2% in 2018, while automotive parts, accessories & tire stores gained 7.3%. These segments however are too small to offset the slow sales at new vehicle dealers. Gasoline station retail sales were up 7.9% in 2018, but most if this occurred in the first half of the year. Pump prices have come down since, so that gas station retail sales were actually down 3.0% year-over-year in Q4. Overall, e-commerce represented about 2.9% of total Canadian retail sales in 2018, including both pure play operators as well as the online operations of brick & mortar stores. Canadian consumers however also buy online from foreign websites which is not captured in these numbers. Canadian e-commerce sales were up 14.7% year-over-year for the 3 months ending December 2018, but this is less than the 20.4% gain recorded in the same period a year ago. E-commerce retail sales gains are still in double digits, and are still much higher than for location based retail, but growth is slowing down. Note that location based retail is the same as that in the preceding large "By The Numbers" table. It's what's normally reported as Canadian retail sales. Except that it isn't. Location based retail excludes another section called Non-Store Retailers (NAICS code 454), which includes electronic shopping and mail-order houses, which in turn is where (mostly) pure play e-commerce businesses are. For the year 2018, electronic shopping and mail-order houses had an estimated $10.5 billion in e-commerce sales. But that's not the only source of e-commerce, as (mostly) bricks & mortar location-based retailers also sell online. For 2018, this group had an estimated $7.5 billion in e-commerce sales. With electronic shopping and mail-order houses, there's a grand total of $18.0 billion in e-commerce sales by Canadian operators over the year. Note that this does not include foreign e-commerce purchases made by Canadian consumers, but it does include e-commerce purchases made by foreigners at Canadian businesses. For electronic shopping and mail-order houses, an estimated 83.5% of their sales are allocated to e-commerce. For (mostly) bricks & mortar retailers, it can be estimated that just 1.2% of their total sales are attributable to e-commerce. In the final section of the above table, (mostly) pure play operators (namely, under electronic shopping and mail-order houses) generated an estimated 58.3% of all e-commerce sales in Canada, while (mostly) bricks & mortar location-based retailers' share of e-commerce is 41.7%.